As a concept, this shrine is quite minimal and abstract. 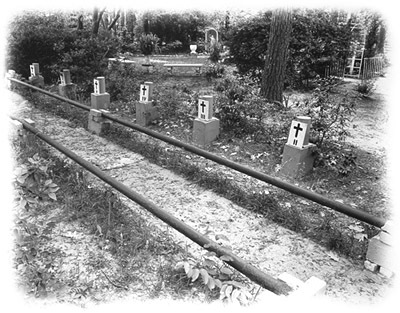 The stations of the cross are represented simply with cylindrical concrete markers, painted lavender, and adorned with crosses and a roman numeral identifying the station. The pathway is laid with interior carpet and lined on either side with metal pipe.